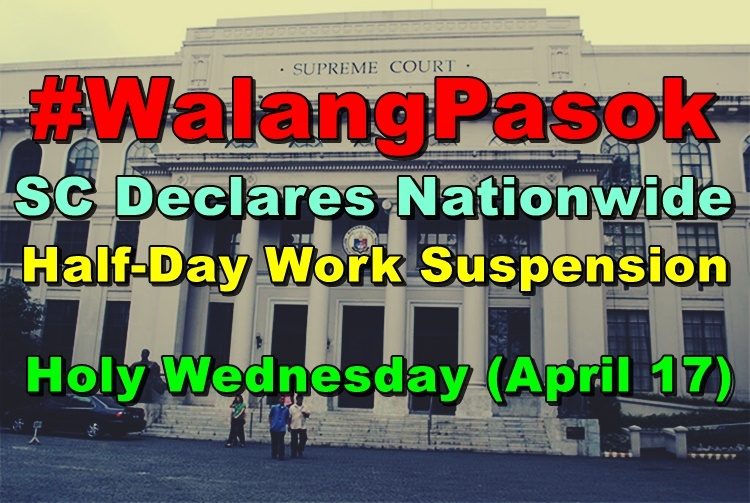 The Supreme Court Public Information Office announced a half-day work suspension in all courts nationwide on Holy Wednesday. The Twitter page Supreme Courth PIO has shared a modified work schedule advisory declaring a half-day work on April 17, 2019. SC Chief Justice Lucas Bersamin ordered a half-day work for all courts in the Philippines that will only be open on Wednesday morning. 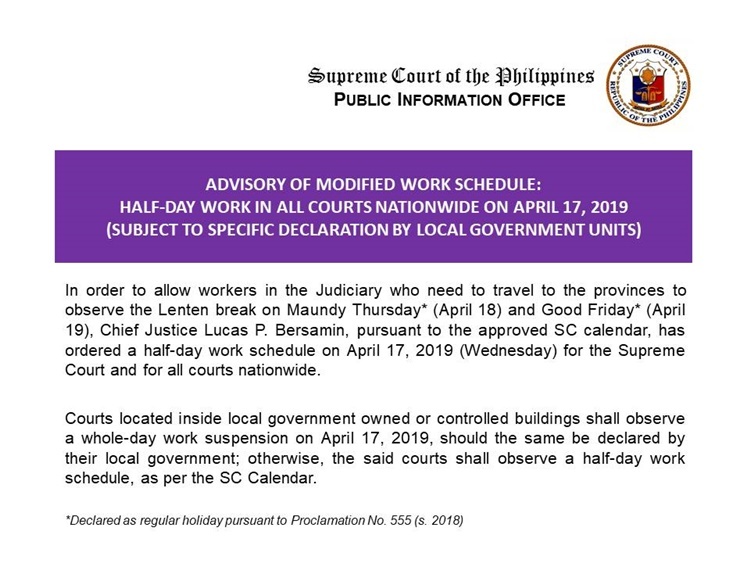 The modified work schedule aims to allow the workers in the Judiciary to travel as early as possible to their respective provinces to observe the Lenten season. The government wants Judiciary workers to have enough time to observe Maunday Thursday and Good Friday (April 18 & 19). The courts inside the local government-owned or controlled buildings shall observe a whole-day work cancellation on Wednesday as declared by the LGU. Hopefully, both employees and students could enjoy the long holiday vacation with their family and friends.